French foreign investment controls are on the whole fairly lenient, as financial relations between France and other countries are unrestricted, in principle.2 This freedom is subject to certain safeguards intended to protect national interests,3 which allow the government to require notification or prior authorisation of capital flows and foreign investments. 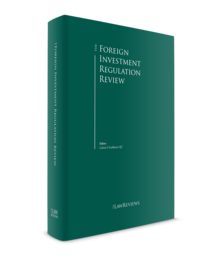 The rules on foreign investments evolve regularly, as the government may promulgate and modify legislation in the field with relative ease.4 The first law on foreign investment, Law No. 66-1008, was adopted on 28 December 1966. It was supplemented by another law in 20045 and several successive decrees6 (the latest in 2017)7 and orders8 (the latest in 2003),9 all codified in the Monetary and Financial Code. This rather catch-all provision is detailed in regulatory provisions14 that, until May 2014, limited the scope of the Ministry's authority to 11 specific business sectors. Since the Decree of 16 May 2014 (the Decree of 2014), six new sectors have been added to this list. businesses related to certain dual-use items and technology. Note that the definition of these sectors varies according to the origin of the investor, and is far broader for non-EU investors than for EU investors. in sectors where the national defence is at issue (for instance, the sector of dual-use items and technology). Foreign investments in the gambling industry (except for casinos) are subject to prior authorisation only when they are carried out by non-EU investors. activities carried out by companies that entered into design or supply agreements with the French Defence Ministry. There are no specific restrictions on takeover bids by foreign investors in France. However, the French market regulator18 may make the opening of the acceptance period (that is, the time from which shareholders may tender the offer, not the completion of the offer) subject to the receipt of mandatory regulatory approvals, including ministerial approval for foreign investments in sensitive business sectors. Foreign investors are free to enter joint ventures in France, with or without a domestic partner. France's foreign investment regime has been gradually liberalised for EU investors to comply with the EU Treaty rules on the free movement of capital, with the result that there are substantial differences in the treatment of EU investors and third-country investors. The qualification of 'EU investor'22 applies to any person who is a national of an EU Member State,23 to any legal entity that has its registered office in an EU Member State24 and to French nationals residing in another EU Member State.25 Investors who do not fall under any of these headings are considered 'non-EU investors'. the acquisition of more than 33.33 per cent of the stock or voting rights of a company that has its registered office in France (threshold test). The Decree of 2012 removed certain transactions from the purview of the Ministry's control, such as the grant of loans or guarantees, the purchase of licences or patents, the execution of commercial or technical assistance agreements in connection with the acquisition of a French company by a foreign investor, and investments relating to casinos. In the event of uncertainty as to the application of these rules, the Ministry encourages foreign investors to present a written request to the Ministry to determine whether a transaction requires prior notification.35 Although the law provides for a two-month delay for the Ministry to respond, a response is usually given within three to four weeks in practice (the absence of a reply does not imply that the transaction is exempt). Several types of transactions are exempt from the authorisation regime, such as intra-group investments (i.e., between companies where more than 50 per cent of the stock or voting rights are held, directly or indirectly, by a common shareholder).36 This exemption will not apply if the proposed transaction is intended to transfer all or part of a strategic line of business abroad (investment triggering the asset transfer test). The contents of the request for authorisation are defined in Decree No. 2003-196 of 7 March 2003 to increase the transparency of the authorisation procedure and guarantee equal treatment to all investors. In practice, if the information provided in the request is not sufficiently precise for the Ministry to carry out an assessment of the transaction, investors are likely to receive requests for additional information. Every supplementary request for information suspends the review period, meaning that, in practice, the authorisation procedure could extend well beyond the statutory time frame. The foreign investment regulations do not foresee a specific filing deadline, although the authorisation request must be sent once the investor is firmly committed to proceeding with the proposed transaction (in practice, as soon as a put option is signed) and in any case prior to the closing of the proposed transaction (failure to respect the authorisation regime may result in heavy sanctions; see Section IV.vii). The Ministry has two months to conduct a review of the transaction from the date it receives a complete notification. If it fails to respond within this time frame, the authorisation will be deemed granted (in practice, this never happens). 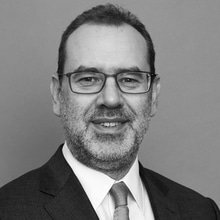 It is interesting to note that the French government has implemented an informal 'fast-track' procedure for determining whether an investment falls within the ambit of the prior authorisation procedure. In this regard, the Ministry has committed to respond within three to four weeks to any complete notification. The Ministry has a long tradition of negotiating with foreign investors, but this was an informal practice until 2004. Law No. 2004-134354 gave the Ministry authority to subject the implementation of an investment to conditions to safeguard national interests. These conditions are specified in Decree No. 2005-1739 of 30 December 2005: typically, investors will commit to continuing the business's operations in the future. They might also undertake to protect its industrial, research and developmental capabilities, related know-how or the safety of its supply chain. Additional conditions may be imposed on companies that have their registered office in France to guarantee the continued performance of procurement contracts or contracts concerning public safety, national defence, research, or the production or trading of weapons, ammunition, or explosive powders or substances. Moreover, in the event an investment carried out without the required authorisation, or in contravention of the agreed conditions, the Ministry may require the investor to take actions to remedy this breach (i.e., abandon the investment, modify it or return to the status quo ante at its own expense).60 Although it is not expressly provided, it seems that the Ministry can enjoin an investor failing to observe the conditions of an authorised investment to comply with these conditions before taking any other action. Failure to comply with an injunction may be punished by a civil fine of up to twice the amount of the non-complying investment.62 However, a fine must be proportional to the gravity of the offence. Investors also face possible criminal sanctions, including imprisonment for up to five years. Legal entities face the imposition of various prohibitions (carrying out certain activities, participating in public tendering procedure, receiving government subsidies, etc. ), either definitively or for a limited period of time, and a fine of up to twice the amount of the investment.63 This fine can be multiplied by five in the case of legal entities. The decisions of the Ministry are subject to full review by the administrative judge. Under this procedure, the judge is given broad powers to control the Ministry's decision to submit an investment to prior authorisation,64 to overrule the Ministry's authorisations or rejections. The judge may hold the government liable for damages to the investor, although, in practice, it is extremely difficult to establish the state's liability. Moreover, an EU investor may challenge the Ministry's decision under EU law in the French courts if it can demonstrate that the French regulatory framework creates an unjustified restriction of the free movement of capital, or that it lacks proportionality with regard to the public policy objectives at issue. France has signed and ratified bilateral investment treaties with 104 countries, as well as the multilateral International Centre for Settlement of Investment Disputes Convention on the settlement of investment disputes between states and nationals of other states. These treaties offer foreign investors broad guarantees in terms of protection of their investment, resolution of disputes (such as access to arbitration, and the recognition and enforcement of awards) and compensation. There are no significant enforcement issues to report. The latest World Bank Doing Business report, which ranks France 33rd out of 190 countries in terms of protecting minority investors,66 would seem to confirm this analysis. Strong guarantees exist at the domestic level: for instance, the right to property is constitutionally protected in France.67 Investors may seek protection of their right before any judge and, at the highest level, before the Constitutional Council. It is recommended that foreign investors establish informal contacts with the Ministry prior to filing an official request. The monitoring and control of foreign investments in sensitive business sectors is a highly political process, and it would be impossible to overcome opposition from the government. Additionally, if the Ministry were to deny authorisation on grounds of national interest, it is hard to imagine that administrative courts or eventually the Council of State would overrule this decision. Certain targets may use regulatory consent for a change of control as an effective means of defence against unsolicited offers, and especially when the offeror is a foreign company. In light of this, it is helpful to secure political approval at an early stage. A draft bill setting various measures in the field of economy is currently being debated in Parliament.68 This draft bill will include several provisions amending the legal regime for foreign investment. The new law is expected to be passed and to enter into force during the first semester of 2019. New sanctions (such as suspending voting rights, suspending free disposal of the assets related to the strategic activity, prohibition of dividend distribution) are being considered for investors carrying out new an investment without a required authorisation or in contravention of the agreed conditions. These new legal provisions will be supplemented by a new decree. This decree will certainly expand the list of business sectors subject to authorisation by the Ministry to include some additional sectors, such as those related to semiconductors, data storage and space activities. 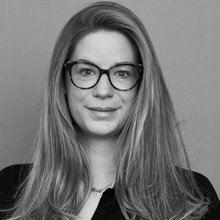 1 Didier Théophile is a managing partner and Olivia Chriqui-Guiot is an associate at Darrois Villey Maillot Brochier. They would like to thank Guillaume Griffart for his contribution to the update of this chapter. 2 Article L151-1 of the Monetary and Financial Code. 3 Article L151-2 of the Monetary and Financial Code. 4 Law No. 66-1008 entrusts the government with the power to police foreign investments. 5 A reform project of the foreign investment legal regime is currently debated in French Parliament (see Section VII). 6 Decree No. 67-78 of 27 January 1967, Decree No. 89-938 of 29 December 1989, Decree No. 2003-196 of 7 March 2003, Decree No. 2005-1739 of 30 December 2005, Decree No. 2012-691 of 7 May 2012, Decree No. 2014-479 of 14 May 2014 and Decree No. 2016-1663 of 5 December 2016. 7 Decree No. 2017-932 of 10 May 2017. 8 Order of 14 February 1996. 9 Order of 7 March 2003. 11 According to the report for the year 2018 prepared by Ernst & Young on investment attractiveness in France, available at https://www.ey.com/Publication/vwLUAssets/ey-barometre-de-l-attractivite-france-2018/$FILE/ey-barometre-de-l-attractivite-france-2018.pdf (Ernst & Young, 'Retour gagnant, Baromètre EY de l'attractivité, France, 2018'). 12 Certain investments that exceed the €15 million threshold must be notified to the French central bank for statistical purposes (Article R152-3 of the Monetary and Financial Code). Decree No. 2017-932 of 10 May 2017, which aims to simplify investments for foreign companies, abolished the administrative declaration to the Directorate General of the Treasury. 13 Article L151-3 of the Monetary and Financial Code. 14 Articles R153-2 et seq. of the Monetary and Financial Code. 15 The categories of EU and non-EU investors are defined in Section IV. 16 A uniform definition of 'sector' is applied to all foreign investors in these sectors. 17 Facilities, installations and structures that are of vital importance are identified by administrative authorities and are those that, should they become unavailable, would diminish the security of the nation, its potential to wage a war and its capability to survive. They include, inter alia, nuclear installations and certain facilities classified for environmental protection. 18 L'Autorité des marchés financiers. 19 European Court of Justice, Association Église de scientologie de Paris and Scientology International Reserves Trust v. The Prime Minister, Case C-54/99, 14 March 2000. 20 Adopted on 9 December 2004. 21 The list of sensitive business sectors remains limited, although it has recently been expanded, which was not the case before 2004. 22 Article R153-4 of the Monetary and Financial Code. 23 The definition extends to nationals of the European Economic Area (EEA) Member States that have signed an administrative cooperation agreement with France (i.e., Norway, Iceland, Liechtenstein). 24 Or in one of the above-mentioned EEA Member States. 26 Decree No. 2012-691 of 7 May 2012. 28 Article R153-5-2 of the Monetary and Financial Code. 29 Article R153-1 of the Monetary and Financial Code. 30 Within the meaning of Article L233-3 of the Commercial Code; see footnote 27. 31 Article R153-3 of the Monetary and Financial Code. 32 Articles R153-4 of the Monetary and Financial Code. 33 Article R153-5 of the Monetary and Financial Code. 34 Article R153-5-1 of the Monetary and Financial Code. 35 Article R153-7 of the Monetary and Financial Code. 36 Article R153-6, I of the Monetary and Financial Code. 37 Article R153-6, II of the Monetary and Financial Code. 38 The information is listed in Article 4 of the Order of 2003. 39 The request shall indicate whether settlement has been by way of a transfer of funds from abroad to France or by other means. 40 Article 7 of the Order of 2003. 41 Within the meaning of Article L151-3 of the Monetary and Financial Code (i.e., public policy, public security and national defence). 42 Article R153-9 of the Monetary and Financial Code. Note that the conditions listed in the Monetary Code are not exhaustive. 43 Article R153-10 of the Monetary and Financial Code. 44 Within the meaning of Articles 222-34 to 222-39 of the Criminal Code. 45 Within the meaning of Article 223-15-2 of the Criminal Code. 46 Within the meaning of Articles 225-5, 225-6 and 225-10 of the Criminal Code. 47 Within the meaning of Article 324-1 of the Criminal Code. 48 Within the meaning of Articles 421-1 to 421-2-2 of the Criminal Code. 49 Within the meaning of Article 433-1 of the Criminal Code. 50 Within the meaning of Article 450-1 of the Criminal Code. 51 Article R153-10 of the Monetary and Financial Code. 53 See, for instance, Decision No. 262626 of the French Council of State (the highest administrative court), dated 3 November 2004. The Council found that the Ministry's decision to submit a non-governmental organisation to an authorisation regime concerning grounds of national security did not need to be justified. 54 Adopted on 9 December 2004. 55 Within the meaning of Articles L1332-1 and L1332-2 of the Defence Code. 56 Article R153-9 of the Monetary and Financial Code. 58 Article R153-12 of the Monetary and Financial Code. 59 Article L151-4 of the Monetary and Financial Code. 60 Articles L151-3 III and R153-11 of the Monetary and Financial Code. Id. It is unclear how this provision would apply to transactions carried out abroad but affecting the shareholding of a company based in France. 61 Article R153-11 of the Monetary and Financial Code. 62 Article L151-3 III of the Monetary and Financial Code. 63 Article 459 of the Customs Code. 64 See Decision No. 160550 of the French Council of State, dated 15 April 1996, affirming the power of administrative courts to control the Ministry's decision to submit a foreign investment entity to the authorisation regime. 65 Article R153-13 of the Monetary and Financial Code. 66 The World Bank, Doing Business 2018, available at http://francais.doingbusiness.org/~/media/WBG/DoingBusiness/Documents/Annual-Reports/English/DB2018-Full-Report.pdf. Since 2015, the 'protecting investors' indicator has been changed to 'protecting minority investors' to better reflect its scope. This new indicator measures shareholders' rights in corporate governance beyond related-party transactions. 67 It was recognised as a constitutional right by the Constitutional Council on 16 January 1982 (Decision No. 81-132 DC). 68 Projet de loi relatif à la croissance et à la transformation des entreprises, No. 1088 (PACTE). The draft bill in its current stage of progress can be consulted on the National Assembly website: www.assemblee-nationale.fr/dyn/15/dossiers/Croissance_transformation_des_entreprises.